Due to my extremely oily skin, I catch hold of any product that claims to control oil. Unfortunately I don't get time to use them fully. Today, here is a review on a lotion that has been tried and trusted by many. 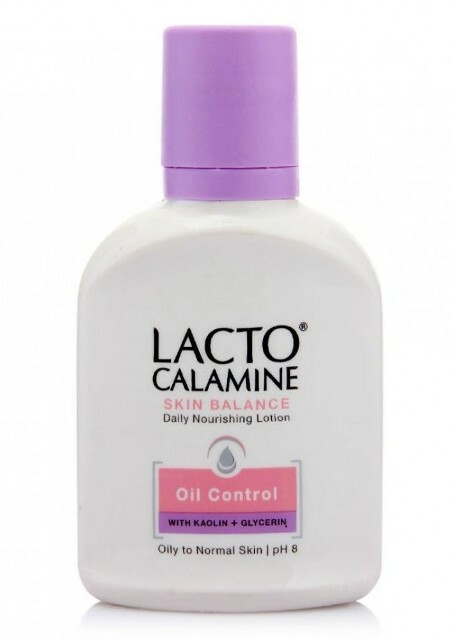 Lacto calamine lotion comes in a plastic bottle with a screw cap. But the cap does not fit in place tightly thus it is not travel friendly. The lotion is pinkish in colour, having a thick texture but blends easily on my oily skin. It gives a nice glow to the face due to its tint and controls oil on my face for around four hours. The slight tint may not suit those having darker skin tone. This lotion gives a matte effect which I just love. But if you over use it on the face it will give a whitish cast. It did not cause any sweating on my face. It also did not give me any breakouts. Some may find the fragrance bothersome, as for me it was fine. It can also be used as a make up base. For my oily skin it was suitable for use during all seasons. Whether it is summer or winter it doesn't matter. This lotion does not dry out my skin at all. It is perfect for those having oily skin. I dislike the packaging as a lot of lotion remains in the bottle after months of usage leading to wastage of the product. I use this lotion every night before bed and it effectively keeps my skin oil free throughout the night. In the morning my skin is soft and smooth. 5. Can be used as a make up base. 6. Perfect for oily skinned people. 2. Wont suit those having darker skin tones.